I loooove these! so fantastic! Love the minimal center justified design of the second one. Perfect. oooh that second page just speaks to me! love! I often do the same thing. If I have a lot of photos (or sometimes, I even scrap the same photos more than once) I'll do one with the story, one might be more artsy - just me playing around with scrap stuff, etc. Love both your layouts! I want to scraplift the second layout - I feel the same way about my husband :) Have a great weekend! When I have lots of photos, first I think I have to capture everything all in one layout, and I start to feel anxious. Then I remember that there are no rules. I can make several layouts;some that capture the big event, and some just to express a little thought. i really LOVE the simple layout of the second one! I usually end up doing a mini-album for big events with lots of photos. but I might also do a one or two page spread using some of my favorite photos of the event for the bigger albums. Io really love the designs, especially with the second layout. Fab photos. The second page is fabulous! 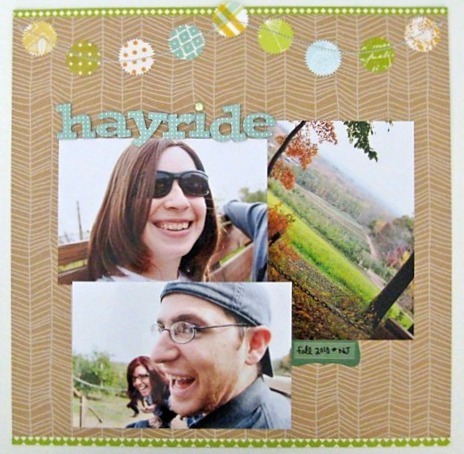 when i have lots, i scrapbook my faves - from different angles, like you have. and the rest just live on my harddrive. I was just writing about this on my blog! I take more pictures at certain times of the year too. Lately, if I have a lot of photos, I like to make a mini, but I really like how you did two different layouts here from the same event. Maybe I'll try that out! This is so gorgeous! You know, you can get a digi stamp version of that rubon at Oscraps through Paislee Press. I was so happy when I found it. 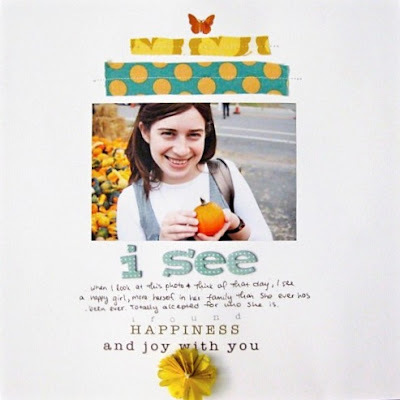 I adore your "I see" layout! Simply beautiful! These layouts are super cute! Love the pics with your rebel!